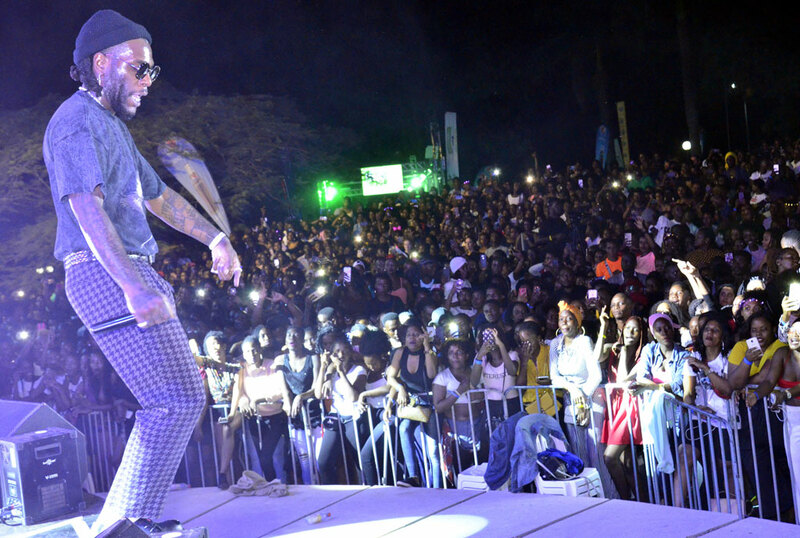 The Burna Boy Kampala Experience last Friday came down as one of the most attended concerts. The event that took place at Sheraton Hotel Gardens had the Nigerian Singer performing in Uganda for the second time. In 2014, Burna Boy performed alongside other singers like Mafikizolo, Shaggy and Patra at Club MegaFest that happened at Namboole Stadium. 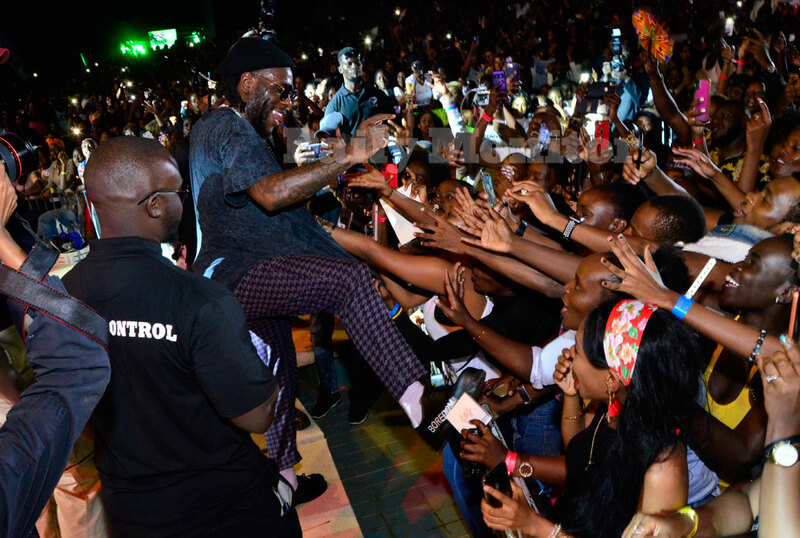 This time, Burna Boy came alone to headline the Burna Boy Kampala Experience and this happened after Malembe Lifestyle and Kasana Events came together to hijack the singer who had just concluded his African Giant Tour in different countries although Uganda was not among the countries he was supposed to perform at. The event was well attended and since the organisers don’t have strong background in organizing events, they lost points when it came to controlling the crowd. The crowd that was overwhelming cost some people who had much interest in the events and those who bought tickets on Mobile money and Quicket were bounced later on in the night at around 10pm with people at the entrance asking for proof that they actually bought or if the tickets are genuine. This was the reason all gates leading to Sheraton Hotel were crowded but still remained closed until later when curtain raisers Irene Ntale and Sheebah had already performed. Some of the journalists at the entrance were told off how they didn’t need Journalists at the event but a few found their way into the venue. There were less performances but more of DJs playing music and it became too much and boring at the same time. At some point, the revelers thought they were duped about Burna Boy performing in Uganda although he was seen at the airport the day before. It was 15 minutes to midnight where outdoor Ugandan events end when he finally showed up on stage. 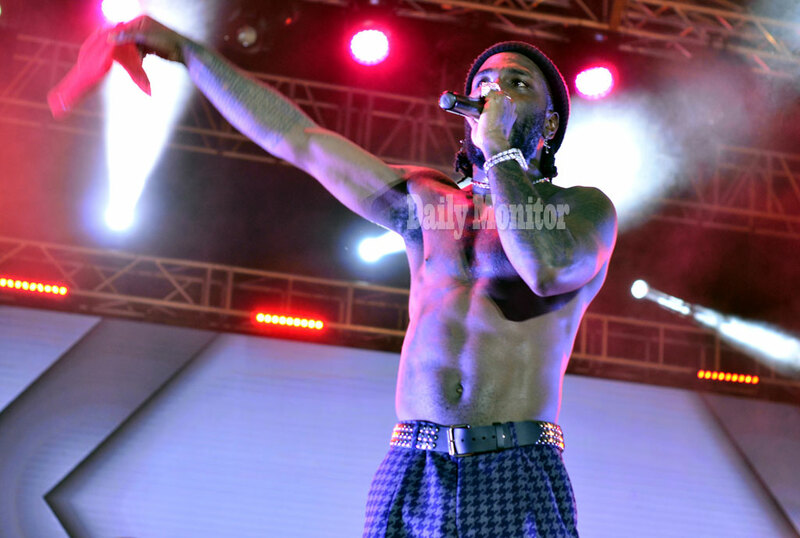 Burna Boy dressed in a blue suit with a t-shirt kicked off his performance with one of his songs titled Miss You Bad. He continued his performance with songs like Giddem, Sekkle Down, Like to Party, Run My Race, Yawadey. Ugandans were familiar with all these songs as they joined him to sing them together. He performed Gbona and On The Low that got Ugandans up on their feet and dancing. When everyone thought his performance would end in 15 minutes, the singer performed up to 12:20am ending the show with the song titled YE.